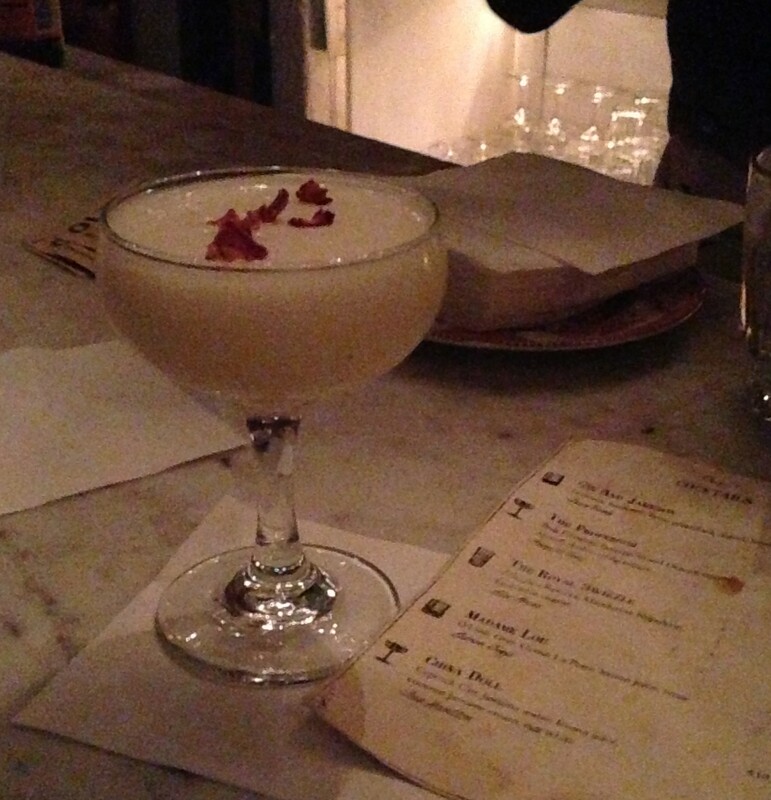 In December I celebrated Repeal day (for a reminder of what that is, click here!) and ended up at No Vacancy in Hollywood. First off, I adore the entrance to No Vacancy. I used to go there when it was ‘Jane’s House’ and the building itself is, well, a house! The Houston Brothers totally utilized this look for No Vacancy by creating an elaborate entrance wherein you enter a bedroom and a lady tells you the “house rules”, then the bed splits in half and you walk under it and end up in the main house staircase. Very cool and different. I recommend checking it out when you’re next out in Hollywood. Anyway, I digress. At the Repeal Day event I tried the above cocktail and it was nothing short of delicious! The original drink recipe was created by Sean Hamilton (Bar Manager of No Vacancy) and I had it made for me on this occasion by bartender Jimmy Avelar. I loved it! Yeah yeah, I know….I haven’t written in a really long time! Life may have been getting in the way of my blogging, but that doesn’t mean I haven’t been out and about eating and drinking to my hearts content. Trust me, I definitely have! There will be posts coming shortly on these places, but bare with me in the next few months. For those fussy readers who don’t know me personally, I should let you know that I recently got engaged (YAY!) to my Beverage Director fiance who is usually mentioned on here as FutureGreg. 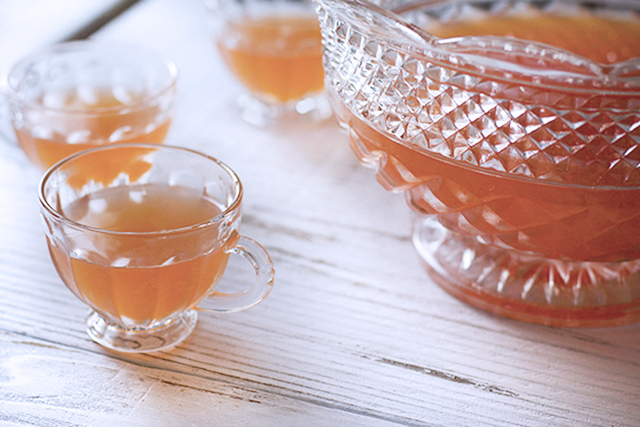 Serve in a Punch bowl over large ice cube. Serves approx 14. Double ingredients (like we did) to serve more, obviously! This punch was a HUGE success at the party. It’s refreshing, fruity and delightful as a summer drink. Greg made this on the sweeter side for me, and was designed with the girls in mind. Beautifully balanced and reminded me of a Strawberry lemonade. Easy to drink and even easier to get tipsy on! For those who don’t understand the humor in this name, Oaxacan is pronounced (wa-ha-ken) and is the name of the people from Oaxaca, Mexico. 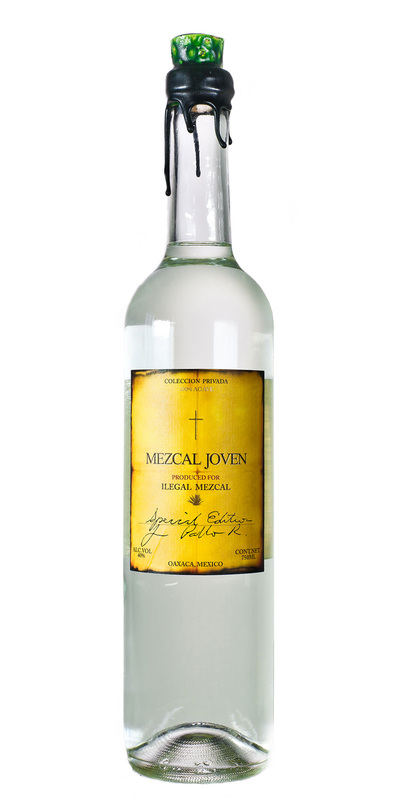 It was created to pair my ‘British side’ (the English Tea infusion) with Greg’s Mexican side (Mezcal). This Punch was deliciously smoky with an interesting twist from the yorkshire tea, that I felt gave an almost creamy element to the drink and softened the Mezcal. I originally didn’t think the flavor pairings would work when FutureGreg suggested it, but it came out perfectly. Really delicious and original flavors. Anyway, that’s all for now! 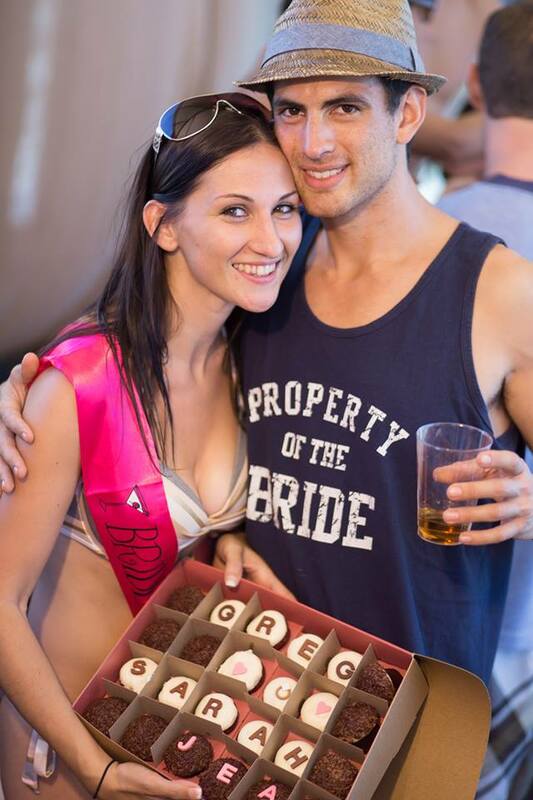 Here is a photo of us at our Engagement party with delicious Sprinkles cupcakes. Muddle cucumber, shake and double strain all ingredients in to a coupe glass. OOOOOH I love cucumber! It’s so refreshing, crunchy and light in flavor. I have also discovered that I love it in my cocktails, as I have had a few cucumber style martinis recently that I really like. The above recipe was my drink of choice last week for my birthday celebrations. It was created by Brandon Ristaino for the ‘Mixology Bar’ in The Penthouse at Mastros. For those who don’t know, The Penthouse is the fabulous new third floor addition to the already successful Mastros restaurant in Beverly Hills. This drink is very tasty and probably my favorite on their menu right now. 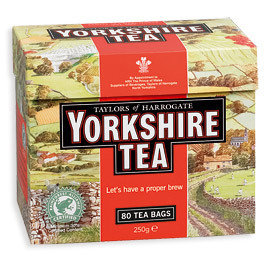 It is subtly citric with refreshing cucumber notes. The gin used is Plymouth which is very light in juniper flavors so is a great option for someone who tends to lean towards vodka as a base but wants to start trying Gin. This drink definitely does have a sweetness to it that I always love, but it is nicely balanced with the sour elements too. Definitely worth a trip to The Penthouse for this one, or if you’re not in the area try making it at home. Will be great when the summer months roll around, just so nice and refreshing. Today is my boyfriend FutureGregs (FG) birthday, so it only seemed fitting that I put up one of his all time favorite drinks. 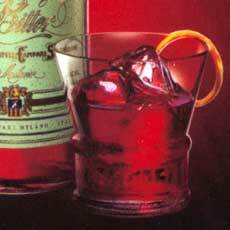 The Negroni cocktail is made of equal parts gin, vermouth (Italian, semi-sweet), and bitters, traditionally Campari. It is considered an apéritif and has a bitter sweet flavor profile. I admit, this is not a personal favorite of mine, in fact it’s quite the contrary! This is a very strong and particularly bitter drink, one that I feel you really have to become acustomed to. FG loves the bitterness of any amaro (after dinner digestif) in a drink, so this is a great option for him. He often chooses to use Cynar (an Italian bitter apéritif liqueur made from herbs, plants and artichoke) instead of the traditional Campari, which I believe makes it taste even more bitter! The Negroni has, like many cocktails, an often disputed history. The most common belief is that it was created and named after Count Cammillo Negroni in 1919 when he ordered an Americano with gin at Cafe Casoni in Florence, Italy. When discussing this with FG he did point out that there are other accounts that suggest this was already another drink, however Count Negroni was the one who made it famous and therefore has his name attached to it. 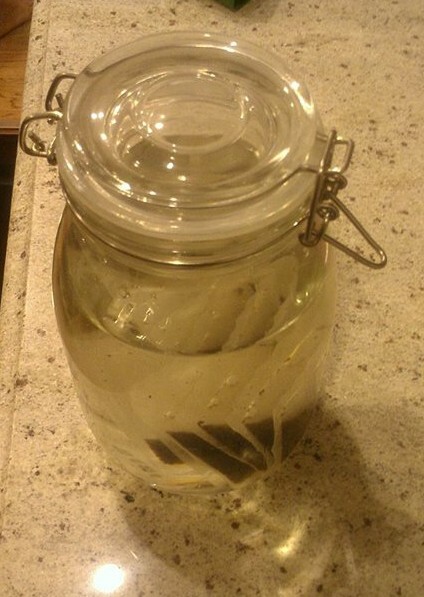 Whatever it’s origins, this is a good option before or after a meal as the bitters have medicinal qualities that will help settle your stomach. By the way, for those of you who know and love my boyfriend, we will be celebrating tonight (23rd August) at Bagatelle in Hollywood. 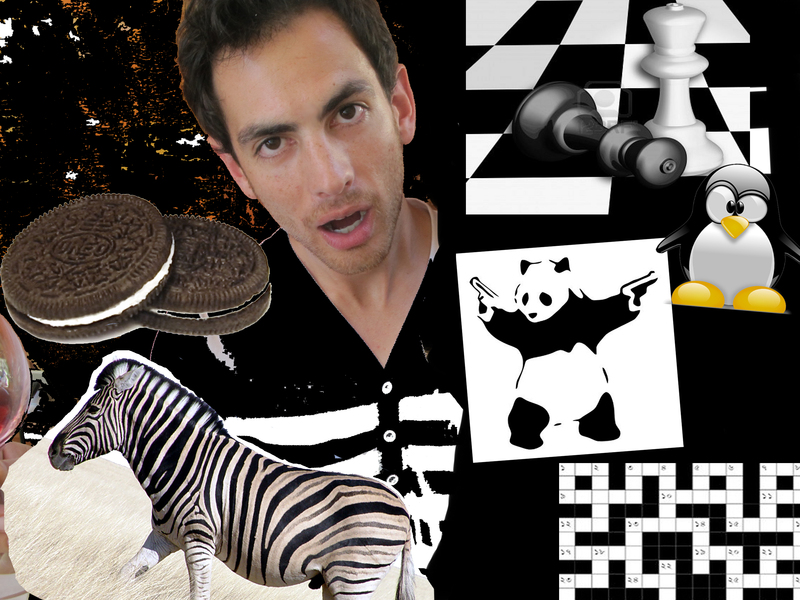 The theme is ‘Black and White’, so make sure you come in those colors and dress to impress! There will be a punch bowl, a Dj, many beautiful women, lots of handsome men and a special priced drinks list for those prepared to celebrate with us. Come on down at 9pm. We’ll be there til 2am…or until Greg passes out! Combine all ingredients except soda water and bitters and shake in ice. Strain in an ice-filled collins glass and top with soda water. Dash with Angostura bitters. This is a drink that has specific memories to me from my childhood. I used to go with my family to Australia almost every year and on a number of occasions we would stop over in Singapore for a few days. I can remember my dad was always excited when he arrived, he would get unpacked then announce to the family “I’m heading down to the bar for the first Singapore sling of the trip.” As we were fortunate enough to stay at the gorgeous Raffles Hotel on many occasions, it is easy to understand why this was his recurring drink of choice. When I first decided to write about the Singapore Sling, I hadn’t quite appreciated how much confusion revolved around its recipe. The drink itself is fairly well documented and most would agreed that the first recipe was created by Ngiam Tong Boon at the Long Bar in Raffles Hotel, Singapore, between 1900 and 1915. 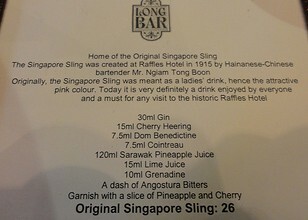 However, there is suggestion that the drink may have existed already under the name ‘Straits Sling’ before Tong Boon brought it over to Raffles. The original recipe has always been disputed, because there are numerous variations in existence that call for different ratios and ingredients. The above recipe is from research by David Wondrich on the Sling, but if you were to go to Raffles 20 years ago you would receive another version most likely changed sometime in the 1970s by Ngiam Tong Boon’s nephew. 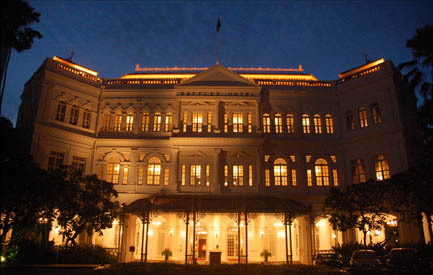 According to Wondrich, new data in the form of a searchable archive of Singapore newspapers shows the earliest reference to a sling is from 1897, nearly 20 years before the Raffles Hotel supposedly created it. 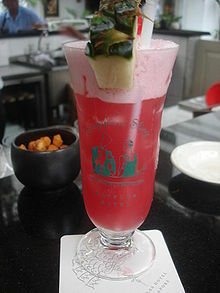 Today, many of the “Singapore Slings” served at Raffles Hotel have been pre-mixed and made using an automatic dispenser that combines alcohol and pineapple juice at pre-set volumes. They are then blended instead of shaken and include pineapple juice to make them more appealing to the ‘American tourists’ in a Tiki style drink. I always remember seeing a ‘Recipe Card’ in the lobby of Raffles hotel that I believed to be the original recipe, however my research has shown that The Raffles Hotel management has always admitted that the original recipe card was in fact lost at some point during the 20th century. The recipe in the photo above is variation 26! With or without pineapple juice, with Cherry Heering or with Dry Cherry Brandy instead, this drink has a lot of history, is refreshing, flavorful and ideal for hot sticky summers in Singapore. For me the appeal is its sentimental value because of the fond memories I have of my father sitting in the lobby of Raffles enjoying his pink drink. If I ever return to Singapore in the future i’m sure I will make a point of stopping in at Raffles to order one for myself, if only to keep up the tradition. 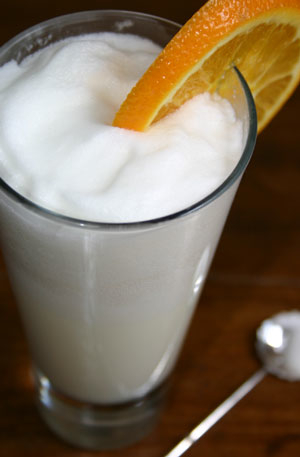 Henry C. Ramos is said to have invented the Ramos gin fizz in 1888 at his bar, the Imperial Cabinet Saloon on Gravier Street, New Orleans. Although, there is some suggestion that the drink already existed under the name New Orleans Fizz. One thing I know for sure is that this is one of the city’s most famous cocktails. It is still a popular choice during trips to French Quarter although it is said that during the carnival of 1915, 32 staff were on at once at Imperial Cabinet Saloon, just to shake drinks in order to keep up with the high demand. It had a long mixing time (12 minutes) which made it a very time consuming cocktail to produce. A Fizz is a genre of drink, named because recipes had bartenders ‘charge’ the drinks with soda from a soda siphon, although nowadays using a bottle of club soda to top it off is sufficient. The above recipe is a bit of a mix. I took the main ingredients from the recipe written in ‘Modern American Drinks- How to mix and serve all kinds of cups and drinks’ by George J. Kappeler, copyright 1895, however egg white and orange blossom water were added in much later recipes. I personally love the fluffiness of drinks with egg white so I feel I have to put a recipe that includes those ingredients. The drink itself is creamy, sour and sweet. With the addition of orange blossom water it tastes almost like an orange cream soda. Very tasty. I will definitely be ordering one when in NOLA, and i’ll let everyone know how it tastes! Be sure to follow my twitter @TheFussyOne1 and Instagram @TheFussyOne for live feeds throughout the trip. 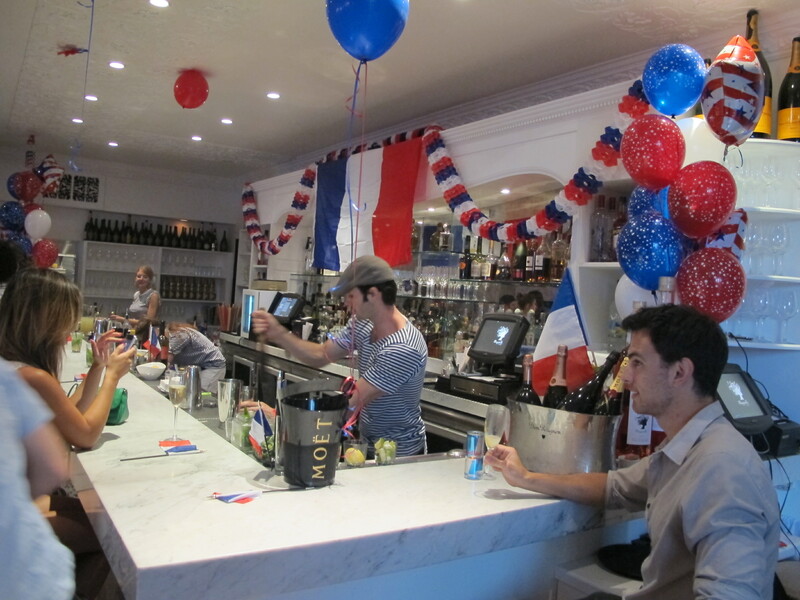 Today I found myself celebrating Bastille Day at Bagatelle in Hollywood. 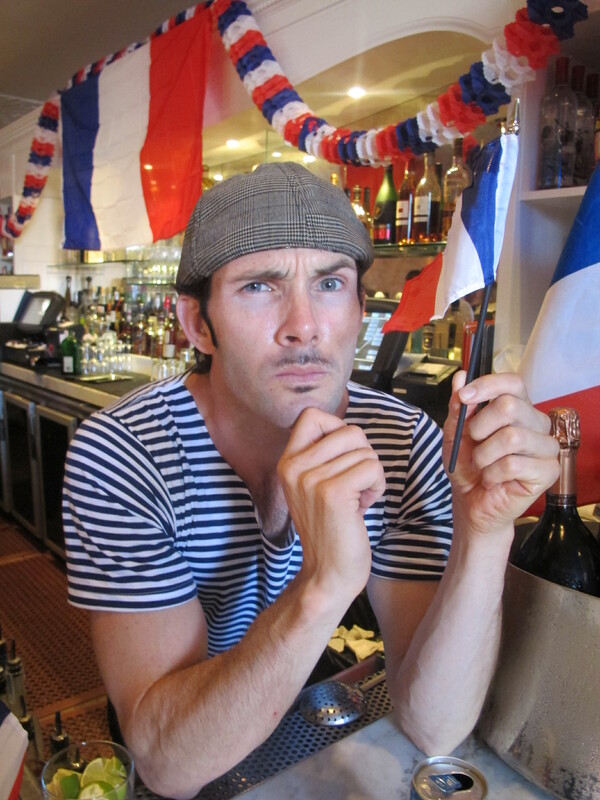 Bastille Day is the name given in English-speaking countries to ‘French National Day’ which is celebrated on the 14th of July each year. In France, it is formally called La Fête Nationale and commemorates the storming of Bastille Fortress-prison on 14 July 1789. The act of storming Bastille was seen as the uprising of the modern nation during the French Revolution and has been celebrated every year in France on the Anniversary of the event, since 1790. They had created quite a party at Bagatelle. Girls were dancing on table tops, French flags where flying everywhere and champagne was flowing heavily! Zach gets in to character! Zach Patterson (Head barman) had made an interesting version of the French 75 for the party and used ‘Lavender honey’ instead of simple syrup, which added an interesting floral note to the drink. Both recipes (Zachs and the original above) are very similar in taste. They’re both refreshing, bubbly, sweet and slightly citric drinks. Great options for Summer and a nice alternative to plain champagne for celebrations. Oui, Oui… ont une bonne soirée!